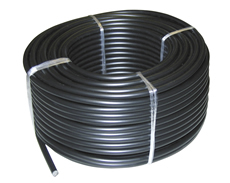 Corral High Voltage Underground Cable connects fence line and grounding and is ideal for permanent fence systems. Double insulated with galvanised steel conductor. There are currently no questions for Corral High Voltage Underground Cable - be the first to ask one!